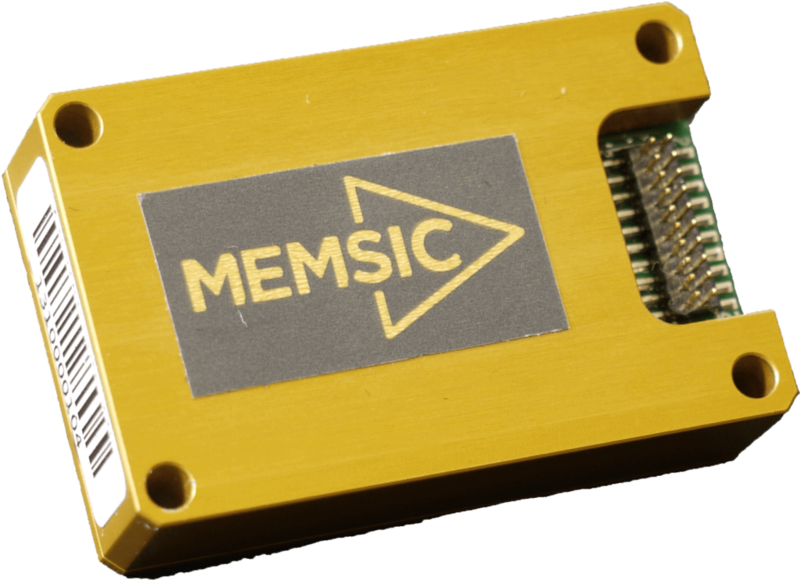 MEMSIC is a provider of powerful sensing solutions, using breakthrough MEMS sensor components and system integration technologies to create high performance, low-cost products. Our products are ideal for a broad range of unmanned systems applications, including Unmanned Aerial Vehicle (UAV) guidance and control, unmanned surface and underwater vehicle guidance and control, SAR, GPSAR and LiDAR payloads, EO/IR payloads and GIS/Mapping. The IMU380ZA is a miniature inertial measurement system designed for embedded applications in demanding environments where precise, reliable dynamic measurement is required. The system incorporates MEMS six-degree-of-freedom sensors into a lightweight, low-profile package that measures only 24 x 37 x 9.5 mm. The module is factory-calibrated to provide consistent performance in a wide variety of extreme environments. 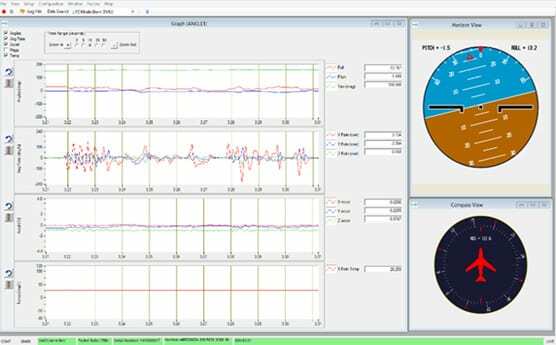 The AHRS380 range of attitude & heading reference systems designed for demanding applications that require complete dynamic measurement solutions. 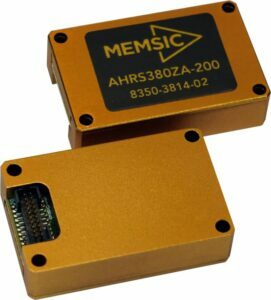 MEMSIC’s miniature Attitude Heading Reference Systems are fully-calibrated and integrate highly-reliable MEMS 6DOF inertial sensors and 3-axis magnetic sensors with extended Kalman filtering, to provide high performance and accurate measurements in extreme operating environments. The AHRS380ZA-200 is a miniature attitude and heading reference system designed for demanding embedded control and navigation applications where consistency and reliability are key. The AHRS380ZA-200 weighs in at less than 17g and has a low profile of 24 x 37 x 9.5 mm, making it highly suited for control applications aboard unmanned aircraft. 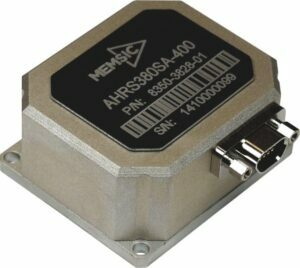 Featuring the same high-performance measurement abilities as the higher range model of the AHRS380ZA, the AHRS380SA-400 is a standalone attitude and heading reference system featuring a 9-Pin Micro D connector for RS-232 or RS-485 communications. The VG380 range of vertical gyros provide highly accurate pitch and roll information (with respect to gravity), in both static and dynamic conditions. 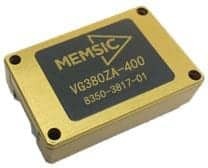 MEMSIC’s Vertical Gyroscopes are factory-calibrated and integrate highly-reliable MEMS 6DOF inertial sensors with extended Kalman filtering, to provide consistent performance in a wide range of dynamic control and navigation applications, including UAV flight controls and platform stabilization. The VG380ZA-200/400 is a fully calibrated vertical gyroscope designed for OEM/embedded applications in demanding environments. This robust low-profile gyro provides reliable dynamic measurements and a standard SPI bus for cost-effective board-to-board communications. Measuring just 24 x 37 x 9.5 mm, the VG380ZA gyro is particularly suited to applications where size, performance, and cost are critical. 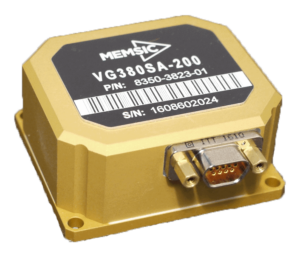 The VG380SA-200/400 is a fully calibrated vertical gyroscope designed for standalone applications and measures 41 x 48 x 22mm. RS-232 and RS-422 interfaces allows for quick integration into customer hardware. The VG380SA has a Wide Input Voltage range of 9 – 32VDC. The NAV440CA-400 is a complete GPS-aided AHRS and navigation solution, combining high-performance MEMS sensors, magnetometers, and a WAAS/EGNOS-enabled GPS receiver. 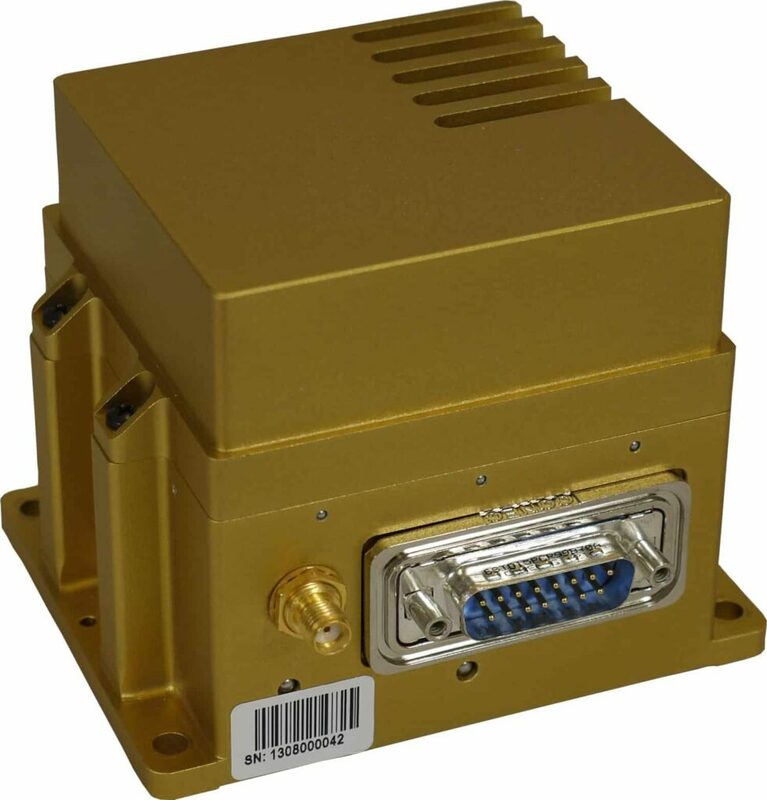 The system is environmentally sealed inside a rugged, compact enclosure, and is ideal for a wide range of mission-critical applications aboard both manned and unmanned vehicles. 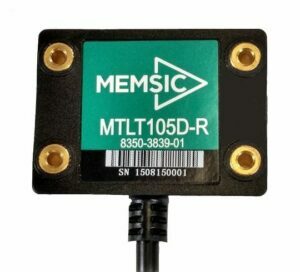 The MTLT105D-R is a dynamic digital tilt sensor capable of measuring inclination to < 0.5° of accuracy in either pitch and roll over a range or 0° ± 90° or a single axis of rotation of 0° ± 180°. The module features integrated MEMS-based accelerometers and gyroscopes which quickly and accurately measure inclination in dynamic applications, plus a microprocessor to calculate tilt angles, and protection circuitry for robust operating environments. The MTLT105D-R also includes a programmable tilt threshold alarm and RS232 Interface. Available in a fully enclosed IP67 plastic over-molded enclosure, each sensor is individually calibrated and tested over temperature. By submitting this form, you consent for your details to be sent to MEMSIC, Inc and its authorized partners in order to respond to your inquiry. Depending on the location of the organization, your personal information may be transferred and processed outside of the European Economic Area.